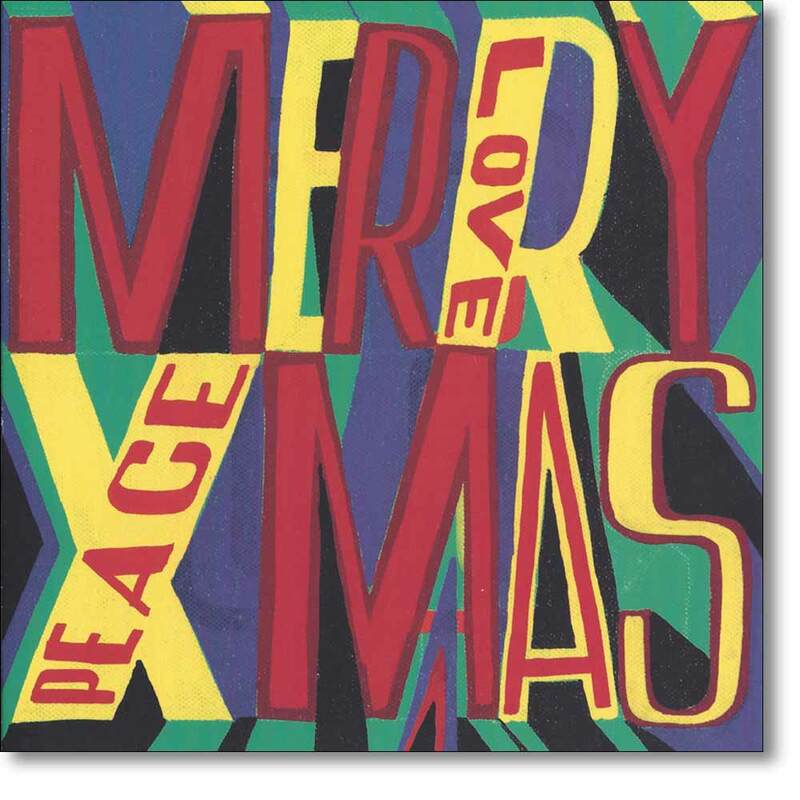 Taken from an oil on canvas by Bob and Roberta RA, these Christmas cards are from ArtPress. The boxed wallet contains ten Christmas cards of the same design. Bob and Roberta Smith is actually just ne man, he uses text as an art form, creating colourful slogans on banners and placards that challenge elitism and advocate the importance of creativity in politics and education. His best-known works include Make Art Not War (1997) and Letter to Michael Gove (2011), which reprimanded the UK Secretary of State for Education for ‘the destruction of Britain’s ability to draw, design and sing’. 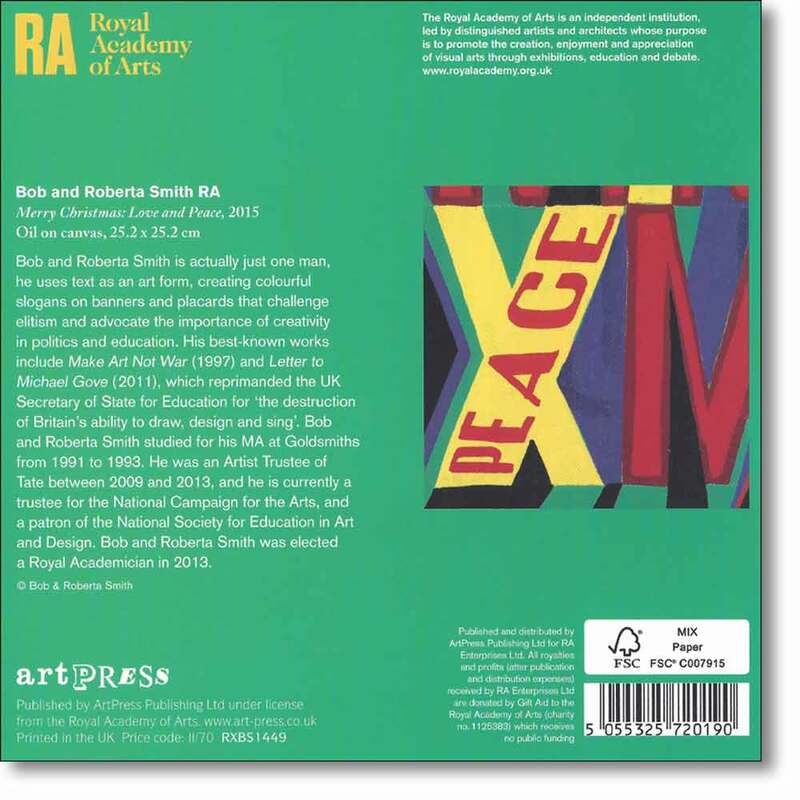 Bob and Roberta Smith studied for his MA at Goldsmiths from 1991 to 1993. He was an Artist Trustee of Tate between 2009 and 2013, and he is currently a trustee for the National Campaign for the Arts, and a patron of the National Society for Education in Art and Design. Bob and Roberta Smith was elected a Royal Academician in 2013.